The Tirol Austria route consists of two distinct railway lines, as well as modern, high speed tunnels, to bring you around 150 km worth of challenging railway, starting from the hub of the route: Innsbruck. Heading north out of Innsbruck Hbf is the Unterinntalbahn (or Lower Inn Valley Railway). Opened in 1858, the Unterinntalbahn was the first to be built in Western Austria, and it followed the south-westerly path of the Inn Valley to connect Innsbruck to Kufstein and onward across the German border. This vital corridor has received substantial upgrades in its time, including the construction of new tunnels that allow for faster journeys through the valley. 2 tunnels were built on the Unterinntalbahn itself, and a third was also built so through traffic could bypass the bustling rails of Innsbruck Hbf to head south on the other included railway - the Brennerbahn. Stretching south, the Brennerbahn climbs through the Wipp Valley, notable for being one of the oldest mountain railways and the first to cross over the Alps. The line was built to connect Austrian rails to Italy, creating a vital through link all the way to Germany. 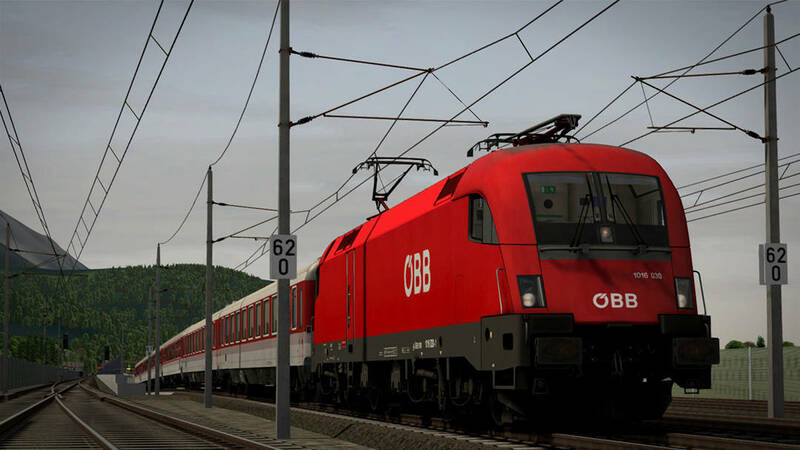 In the Tirol Austria route, this railway is taken as far as its namesake town of Brenner, Italy, marking the country’s first official debut in Train Simulator. Combined, the Unterinntalbahn and Brennerbahn make for a varied and captivating experience, an experience enhanced with the included traction; the ÖBB 1016 Taurus – perfect for high speed passenger and heavy freight duties. Watch this space, as the Tirol Austria route is coming soon to the Steam and Dovetail Games stores!